Depending on your budget Barbados Luxury Hotels not only offer you top notch service but the locations on the island are some of the more breathtaking you can imagine. When you look at going on a Caribbean golf vacation what are the things that help you make the decisions? 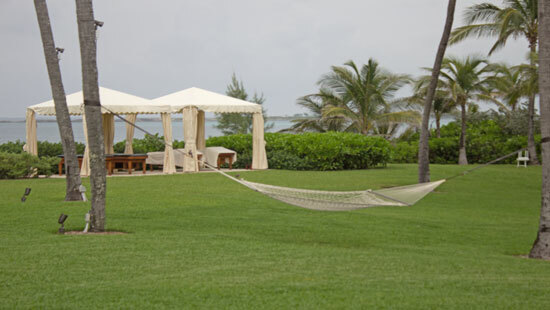 Truly there is nothing better than an island getaway dedicated to your favourite pastime. While the Caribbean will always be a choice vacation destination, more and more people are choosing Barbados as one of their favourite Caribbean golf stops. Barbados has so much on offer from being the best all inclusive Caribbean resorts available, to providing world class Caribbean golf vacations. But what amazes most people is the high standards experienced in the luxury hotels. I found the St. James parish quiet with plenty of luxury hotels, with great views of the ocean and some of my favourite restaurants. If you choose some of Barbados Luxury hotels in Christ Church parish you’ll be closer to the bustling night life. I have heard good things about Turtle Beach by Elegant Hotels All Suite All Inclusive. Barbados luxury hotels were one of the first Caribbean Islands to offer tourists luxury hotel suites and villas. The best thing for people heading to Barbados for the golf is that because it is such a popular travel destination there is strong competition between the luxury hotel chains. This lets you travel to Barbados and enjoy world class dining and accommodation at an affordable price. It all depends on what part of the island you want to stay in. But quite frankly the island is not that big and you will be able to get around rather quickly, whether it is to get to the golf course or to enjoy the great restaurants and night life. Barbados is also a favourite vacation destination for the rich and famous because of the peace and tranquillity that the island provides. Barbados has some of the world’s greatest golf courses to entice even the most seasoned pro or the weekend warrior like you and me. So no matter what your level of golfing experience, you still have the opportunity to play on courses which would otherwise be reserved for the professionals. And when you get off the course enjoy and have fun filled days exploring Barbados’ rainforests, cascading waterfalls and elegant mountain lines. Your days are only restricted by your imagination. But if you are looking for a relaxing getaway without interruptions then Barbados is also for you. Barbados is the Caribbean Island with something for everyone. Staying at any luxury hotel on your next golf vacation is sure to be the most pleasant experience you will ever have. I've found these properties have been designed to provide vacationers with a memorable and most importantly, rewarding experiences. I might be a bit bias since that is where my ancestors hail from but to me Barbados has become the destination of choice for the golf traveler for two good reasons quality and value.